Make the views extra special and treat yourself to London’s highest Champagne Experience. 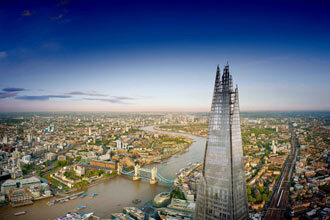 Admission to London’s highest viewing gallery situated at the top of The Shard - Western Europe’s tallest building. With access to Level 69 and the open air Skydeck on Level 72 where you’ll be exposed to the elements and the sounds of the city below. Use of interactive Telescopes to learn about London’s past, present and future. Enjoy the unparalleled panoramic views of the city below whilst sipping on a glass of Champagne Lanson from the top of Western Europe’s tallest building. You’ll experience London like never before! Your experience will last approximately one hour. There is no minimum age, although under 16s need to be supervised. Was given this as a 60th birthday gift it was on my list of things to do but hadn’t got round to it . I loved the experience , marvelled at the views and enjoyed the good quality champagne staff were helpful and informative , I would thoroughly recommend this activity and the company that arranged it .